If you have read my post on Long Call Butterfly, this trade will be easy for you to understand. Results for the Short Call Butterfly will be exactly opposite of the Long Call Butterfly. Lets discuss the trade straight away. 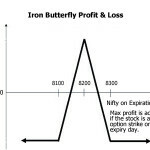 When should you trade Short Call Butterfly? 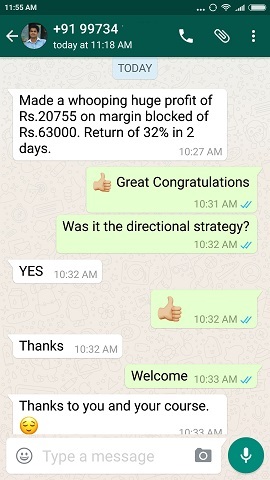 You should trade this strategy when you think that Nifty will move away from the current strike and expire 100-200 points away on the either side – up or down does not matter. Now lets take a real world example and what profit or loss the trader can make. 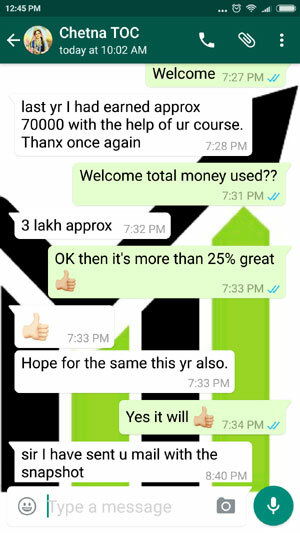 ROI: (650/62000) * 100 = 1.04% in 30 days. In my view this is slightly better than a bank fixed deposit, and at par with many mutual funds. Any strategy that makes less than 2% in 30 days should not be traded. Trading is a business and returns should be attractive. Return on investment is poor – in fact it is very poor. 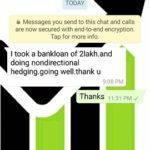 Such trades with low ROI and high risk are best avoided. We will now see that risk-reward ratio in this trade is pathetic too – but success rate is good as there will be a movement in Nifty and near expiry if Nifty is away from the strike price of the bought calls – on either side, the trader can book his profits. But unfortunately one loss can take away months of profits. So lets try to find what happens if this trade is successful and what if not. Nifty is exactly 200 points above bought call strike price of 7900: 7900 + 200 = 8100 on expiry day. 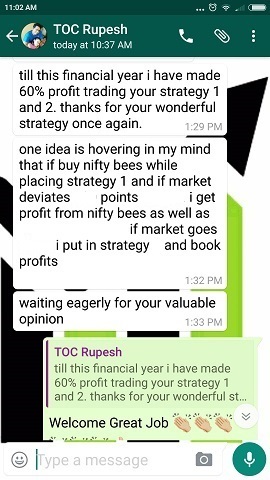 Note that profit remains same if Nifty is above this anywhere. Nifty is exactly 200 points below bought call strike price of 7900: 7900 – 200 = 7700 on expiry day. Note that if Nifty is anywhere below this on expiry day, the results will be same. The trader will make a small profit. Now lets analyze the situations where the trader can make a loss. Nifty is exactly on 7900 on expiry day – the strike price of the bought calls. We have already calculated 8100 and above will be same. We have already calculated 7700 and below, the results will be same. So what do you make out from this trade? This is one of the worst trades to try out. Agreed mostly you will make a profit, but one loss will take away nearly 7 months of profits (4350/650 = 6.7). I have not even added the brokerage to this profit of 650. 4+4 = 8 trades are involved to open and to close. Calculate yourself what kind of profits remains even if this trade is successful most of the times. 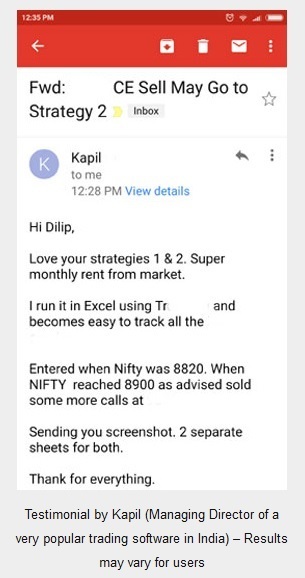 My advice: Stay away from such trades when risk-reward is pathetic and on top of that you may be hoping that Nifty is nowhere near the bought strike price during the expiry week. This is also a set-and-forget trade. If you see profits (even a small one) on any day before expiry – it is advised that you close the trade because at any cost you should not take the maximum loss. If you keep rolling over whenever Nifty comes near the bought calls strike – you will take a loss every time you do. Therefore rollover is not recommended. You cannot wait till expiry as this trade can make a big loss on that day. Also you will not get good profits when Nifty is away from the bought calls strike price and expiry is not near. When you close it few days before expiry, you may make some money but that will be less than the max profit. On top of that, eight transaction will involve a lot of money in brokerage. Therefore this is a trade better avoided. Have you ever traded a Short Call Butterfly? I am eager to know the results.